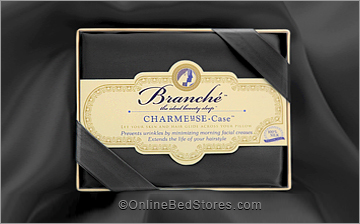 Not only are these black silk pillowcases elegant and stylish they are also beneficial to your hair and skin. Since silk does not cause friction on your hair when tossing and turning, silk pillowcases can prevent bedhead and tangles, helping to preserve your hair style. Silk contains 18 essential amino acids that heal and protect your skin. Unlike cotton, silk will not absorb your expensive night creams. 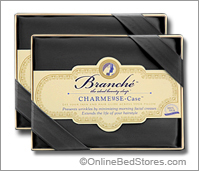 Branche 100% silk charmeuse pillowcases are among the highest quality silk pillowcases available. Now available in eleven colors. BLACK: Destitute of light, the dark color of coal or the night sky.